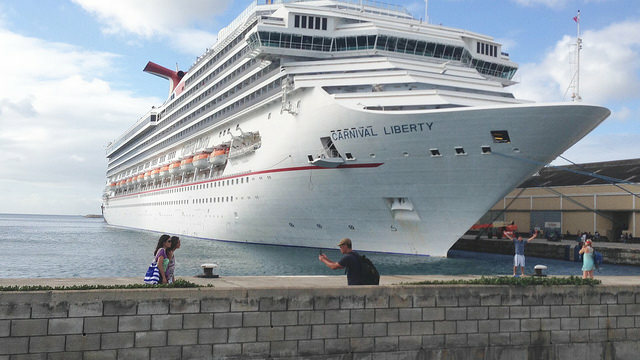 The following Carnival cruise review is quite balanced, in my opinion, since my family has taken seven (7) inclusive family cruises with Carnival to the Caribbean. Yes, my family has sailed on the Carnival Sensation, Carnival Glory, Carnival Destiny (now Carnival Sunshine), Carnival Paradise, Carnival Victory, Carnival Liberty and Carnival Elation in that order. 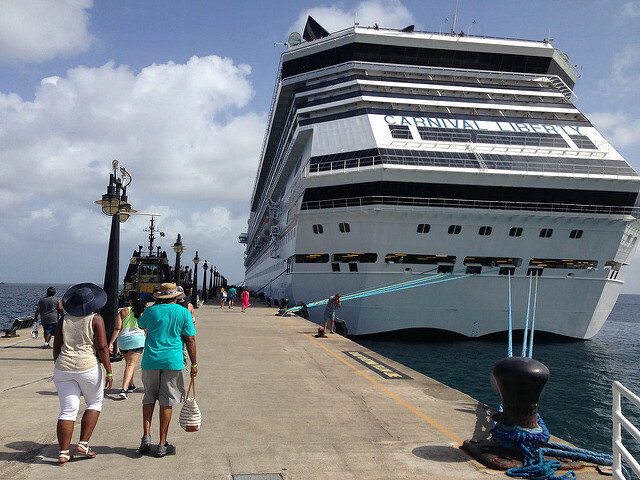 Each of our Carnival cruise ship vacations was fantastic! We returned from a 5-day Western Caribbean Cruise to Cozumel and Progreso this February (2016) aboard the Carnival Elation, and it was truly a great cruise getaway. I especially loved the cruise because it was another sailing in our series of cruise pack missions. On this occasion, twenty-two of us took needed supplies to an orphanage in Cozumel. Anyway, the bottom-line is that you will enjoy your Carnival Caribbean cruise. 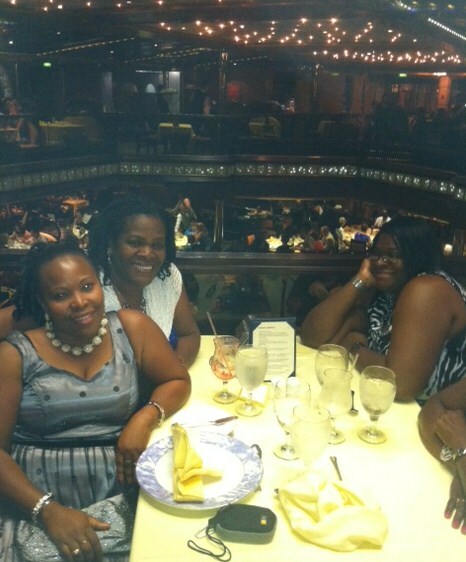 Our first 2 Carnival cruises did not visit Jamaica, nor were we with a group, but we had fun nonetheless. You can find many Carnival cruise reviews online, so I sincerely appreciate you taking time to read mine. Over the next several paragraphs, I will look at some aspects of your Carnival cruise and tell you what I know. By the way, you should know that Carnival offers the best cruise prices in the industry. Some of the sweetest cruise deals are to be found on carnival last minute cruises. Let us move on with the review. Carnival Cruise Line is a member of Carnival Corporation & PLC, the world's biggest cruise line. Carnival itself has about 24 cruise liners. Carnival ships are dubbed the "Fun Ships". They are designed to provide fun for all, but especially for the "young at heart." Carnival's biggest ships are the Carnival Vista (newest debuting in 2016), Carnival Magic, Carnival Dream and Carnival Breeze. You can find a Carnival cruise ship visiting just about any Caribbean port of call - Eastern Caribbean ports, Western Caribbean ports, and the Bahamas. Additionally, you can almost find a Carnival cruise sailing from any of the top Caribbean cruise departure ports - New York, Cape Liberty, Baltimore Cruise Port, Jacksonville Port, Port Canaveral, Port Everglades, Miami Port, Tampa Port, New Orleans Port, and the Port of Galveston. Carnival Cruise Lines has 100's of Caribbean sailings to choose from each year plus cruises of varying lengths - 3-day Caribbean cruises, 4-day Caribbean cruises, 5 or 6-day Caribbean cruises and 7-day Caribbean cruises. Carnival Cruise Lines prides itself on offering cruise prices that just about anyone can afford. Generally, Carnival competes with only one other major Caribbean cruise line - Norwegian Cruise Line - to offer the lowest inclusive Caribbean cruise packages. Additionally, the third, fourth and fifth persons in a cabin will get a discount – sometimes as much as half the fare of the first and second persons in the cabin. If you have seen any Carnival Cruise Lines ads on TV, you would have noticed the prompt to check with your travel agent. Yes, Carnival sells most of its Caribbean cruises through independent travel agents/agencies. One such agency is CruiseDirect.com (they offer the same cruise ticket prices as Carnival and sometimes bonuses). However, you can also buy your Caribbean cruise package directly from Carnival at Carnival.com or you may call them. After purchasing your cruise ticket, Carnival requires you to check in online to obtain your "funPass". Online checkin is simple. You need to have an emergency contact person; plus your passport (click for passport requirements) or know what required documents you will travel with; have a credit card to set up your Sail & Sign account or select the option to use cash; etc. After checking in, you will be able to print your boarding pass/es and your luggage tags. 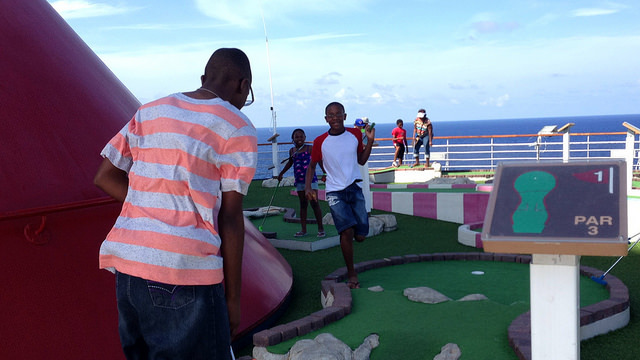 Each Carnival ship packs enough provisions to keep you and your family comfortable and entertained. 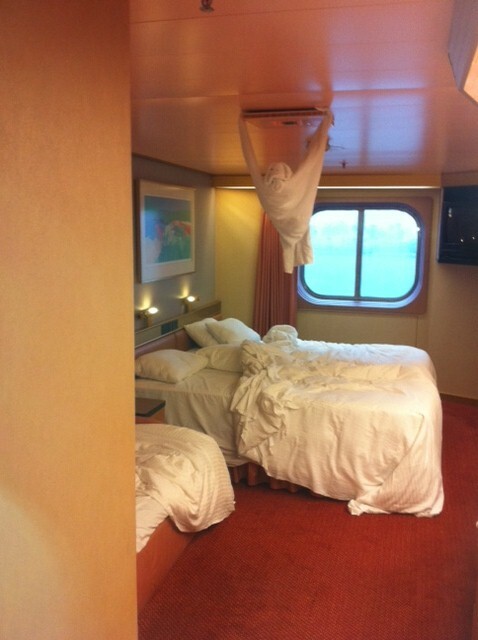 My family has tried two types of cabins - inside and outside - onboard Carnival ships and have found both to be comfortable. Once we had an inside cabin for 4; then 1 inside and 1 outside for 5; and finally, 1 outside for 5. We managed well and did not step on each other. If your family numbers 4 or 5, book your cruise early to secure one of the limited numbers of cabins that can accommodate your entire group. There are bigger cabins on each ship - balcony cabins and even suites. Those cost more, but will provide even more room to snuggle. My contention is there is no need to go overboard on the price of a cabin, since we spend most time outside the cabin. Note: Carnival ships have some of largest cabins at sea. Carnival ships generally have 2 main dining rooms plus other places where food is served around the ship. 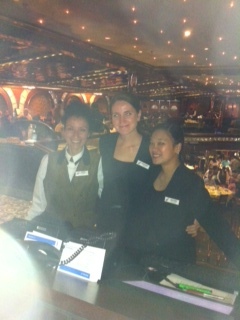 There is also the main buffet restaurant on the Lido deck - pool deck. As far as dining goes, each cruise guest is assigned a table and is allowed to choose a time for dining for the main dining areas - early dining (about 5 pm); late dining (about 8); and your way dining (from about 5:45 - 9 p.m.). The main dining rooms serve 3 or 4 course meals for dinner and are used for open seating during breakfast and lunch. In other words, you will be seated anywhere - no special seats. As an alternative to the main dining rooms, you may choose to eat all meals in the buffet restaurant. Additionally, Carnival Cruise Lines offers a limited number of specialty restaurants, such as a steakhouse or a sushi restaurant. These restaurants are not included in your cruise fare. You will be fed well on any Carnival ship. There is generally too much food to talk about and a large variety of cuisines. There are provisions made for adults and children to have fun. 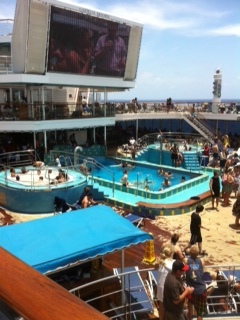 - Each ship is decked out with 3 or more pools and there is also one for the very young. - Some Carnival ships have a huge television on the pool deck, so that people may swim and watch or just see movies under the stars. Depending on which Carnival cruise ship you sail with, there will be a shuffle board, table tennis equipment, a mini basketball court, rock climbing and a mini golf course. There is a video game arcade. When you think of pleasure or relaxation, what comes to mind? Did someone say spa treatment? Well, you will find special offerings of spa treatments onboard your Carnival cruise ship. Relax and enjoy! Two things to remember: 1. Spa treatments incur separate charges and, 2. Plan your spa treatment for a day that you are docked at a port of call - prices are better then. In addition to the spa, there is usually a library or reading room and even a card room (on some ships) onboard your cruise ship. There are also several lounges where you can kick back, kick up and take it easy. Finally, you may also choose to relax in one of several hot tubs. Each Carnival cruise is equipped with a beautifully designed theater where all kinds of fun things happen - Vegas-style shows; comedy shows; magical shows; bingo; game shows and more. Additionally, there small bands found in lounges around the ship; a pool-deck band that entertains while you swim; plus several organized activities led by your cruise director and other crew members daily. There is a lot to enjoy! You will find a couple to few shops onboard, depending on which ship you are on - gift shops; jewelry shops; somewhere for duty free "spirits" and more. You will also always find someone selling gold and silver by the length. Did someone say casinos? For those who dream of making it rich inside a casino, you will certainly get a shot at it onboard a Carnival cruise ship. The running joke is that the casino is onboard to take your money. 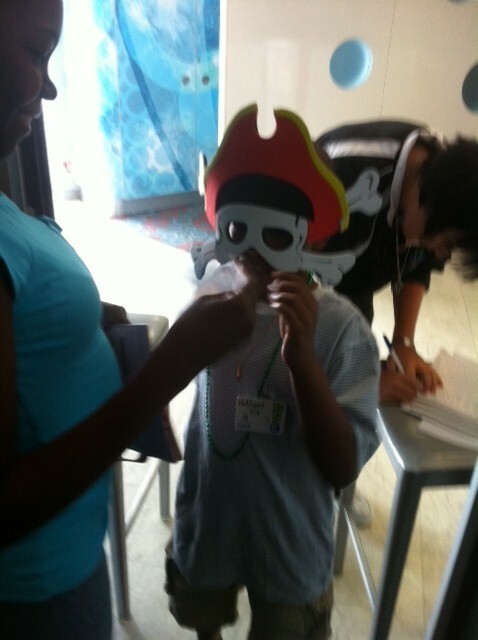 Similarly to other Caribbean cruise lines, Carnival makes a very special provision for your children. This provision is called, Camp Carnival. No, this is not the camp where you drop off your children when you get onboard and pick them up 4-, 5-, or 7 days later when it is time to return home. Nice try! Camp Carnival is provided to keep your children engaged and entertained for various times throughout each day and by extension it gives you and your spouse some room to spend time together. 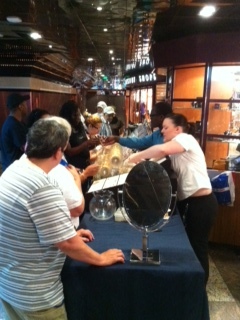 Each Carnival cruise ship has a Director of Camp Carnival and a group of well-trained counselors who assist him/her. Your children will be in good hands. Camp Carnival is designed for children and teens up to about 16 years old. After sailing on a Carnival cruise ship, it is easy to feel that you've visited more places than those listed in your itinerary. That is because there are so many nationalities onboard any Caribbean cruise ship. Yes, you will find some crew members from Caribbean islands, but mostly from elsewhere such as the Philippines, Eastern Europe and the Balkans - Croatia, Bosnia, etc. To a large extent, your communication with the crew members will be a smile and "Hello." Despite multiple ethnicities and nationalities onboard, the crew generally work well together to give you a memorable cruise ship vacation. Whether it be your stateroom attendant, the three people who wait your table in a main dining room, the guys who clean up after you in the buffet restaurant, etc., Carnival crew members make a sterling effort to treat you well. 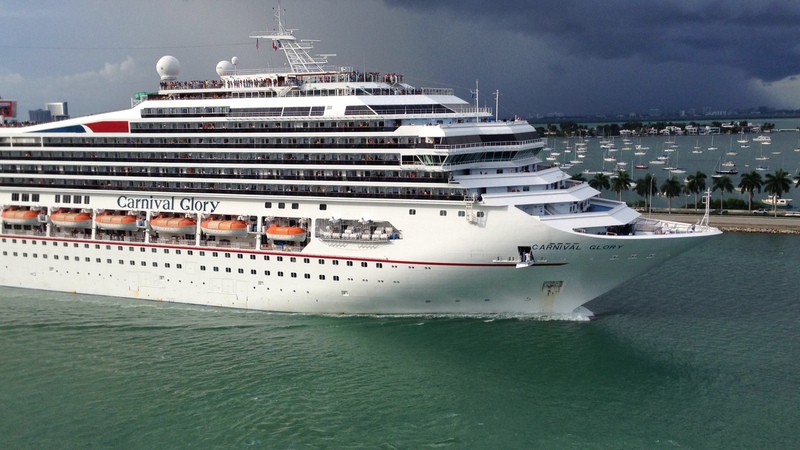 Carnival Cruise Lines makes an effort to incentivize its returning guests. They offer free upgrades on some occasions, onboard credit and a Returning Guests Reception. For about 2 hours, all returning guests will be invited to the main theater for chit chat, hor dours and free drinks. It is the only time that the bar will be open, while onboard. Ask about Carnival's VIFP (Very Important Fun Person) Program to learn much more about how they recognize returning guests. There is so much more to say about Carnival cruises, but I will incorporate some things on other pages. 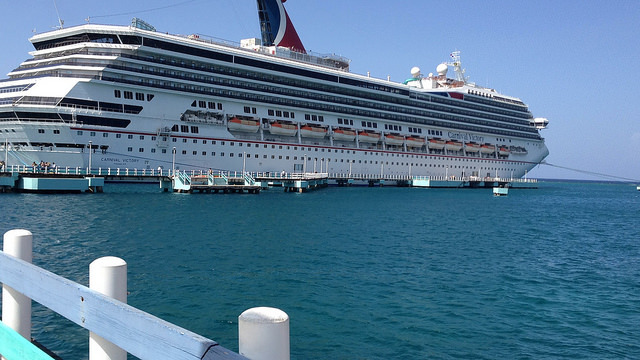 However, it seems unfair to write a Carnival cruise review without noting one negative thing. The truth is, I have enjoyed our five Carnival family cruises and cannot think of one sore thing that stood out. Unfortunately, my Carnival cruise review may not be quite balanced, but I guarantee that your family will have an unforgettable inclusive Carnival Caribbean cruise. Are you ready to book your Carnival cruise? Use the search box below. Have You Sailed With Carnival? Have you tried a Carnival Caribbean cruise? 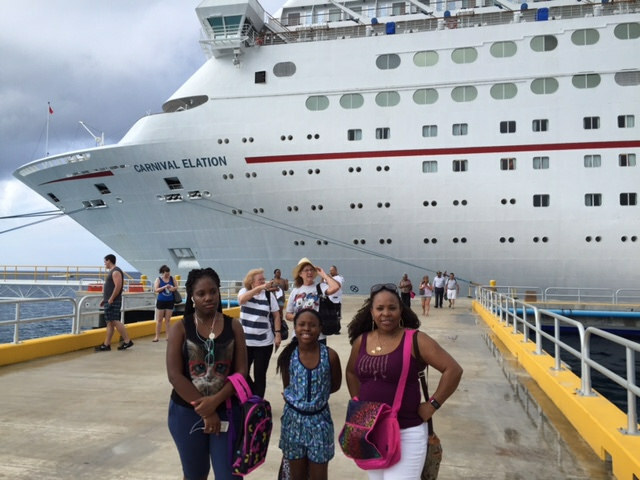 My family has sailed with Carnival Cruise Lines more than any other and we have had memorable times. How about you? Please share some of your favorite moments on a Carnival cruise you have taken. Remember to add some pictures to show off a bit!